Gate drive transformers for demanding battery management systems have been released by TT Electronics. The HA42A (pictured) and HA86A series transformers are offered in a wide assortment of packaging options and with performance and reliability levels that make them suitable for a range of automotive and industrial application requirements, confirms TT Electronics. The miniature surface mount design (SMD) transformers are particularly suited to high-efficiency battery management system applications where size and reliability are critical. The HA42A and HA86A gate drive transformers are used in space-constrained designs to deliver controlling pulses while isolating the MOSFET and the controlling drive circuit. Mechanically robust with lower leakage inductance, they provide significantly reduced turn-on and turn-off delay time, claims TT Electronics. The HA86A design boasts higher current capability and lower temperature rise performance and can be used in hybrid vehicles and electric vehicles’ battery management systems. 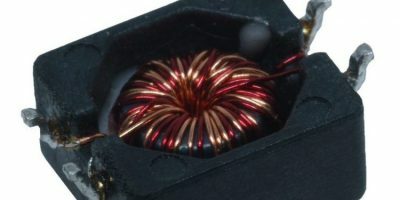 Made of a toroid core ferrite material, the HA42A and HA86A boast roll-off inductance characteristics that maintain high efficiency without affecting temperature. AEC-Q200-certification and RoHS-compliance meet the performance and reliability requirements demanded by today’s automotive applications, reports TT Electronics. TT Electronics provides engineered electronics for performance critical applications. TT designs and manufactures a wide range of electronics for sensing, power management and connectivity for applications in the industrial, medical, aerospace and defence and transportation sectors. It has nearly 5,000 staff members operating from 29 key locations around the world.